"Rush & Molloy taught a generation of reporters that despite all the temptations and excesses and stereotypes, it is possible to write a gossip column with integrity. That is their legacy." 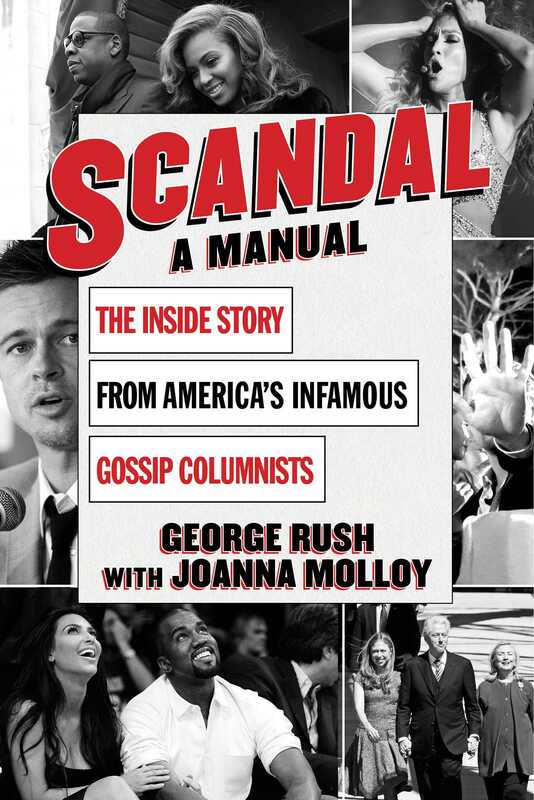 Scandal!’ That’s the name of the incredibly entertaining new memoir by George Rush and Joanna Molloy, the married couple and super gossip columnists of the New York Daily News. Husband-and-wife gossip columnists George Rush and Joanna Molloy, formerly of The New York Post and The New York Daily News, have a new tell-all book out. Scandal: A Manual is filled with stories  some slightly salacious, others downright shocking  gleaned from the couple’s 15-plus years as co-writers. Scandal is the perfect holiday gift for any of your celeb-obsessed friends and family." "The Rush & Molloy’ column scared the rich, famous and celebrated in the city for 15 years. They never knew what dirt George Rush and Joanna Molloy, famously the only married gossipeuses around, would spill on them. In their forthcoming book, Scandal: A Manual, The Inside Story of America’s Infamous Gossip Columnists,’ they tell how they got the goods on the likes of Julia Roberts, Brad Pitt and even Princess Diana." "For anyone who has encountered Mr. Rush and Ms. Molloyand their wideranging beat made them ubiquitous on the New York party scene for almost two decades'Scandal, A Manual’ is exactly like talking to them."